I just had this $300 special link texted to me. It’s about ten miles from my work. 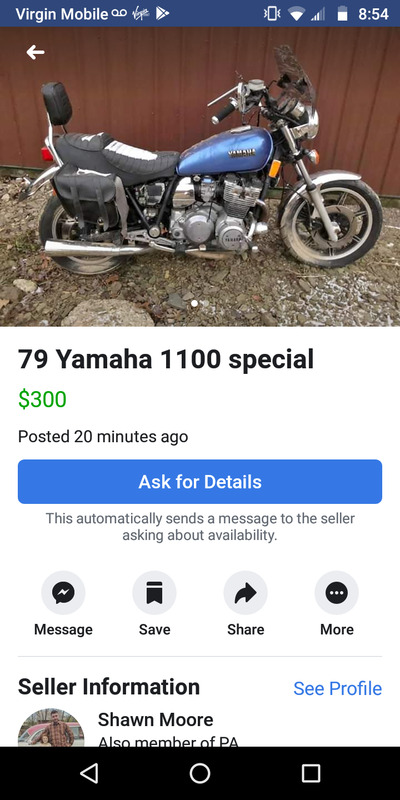 Should I go get it? The price is right....doesn’t look too bad. The price is right, I’d bet they’d come down a little. Ben? 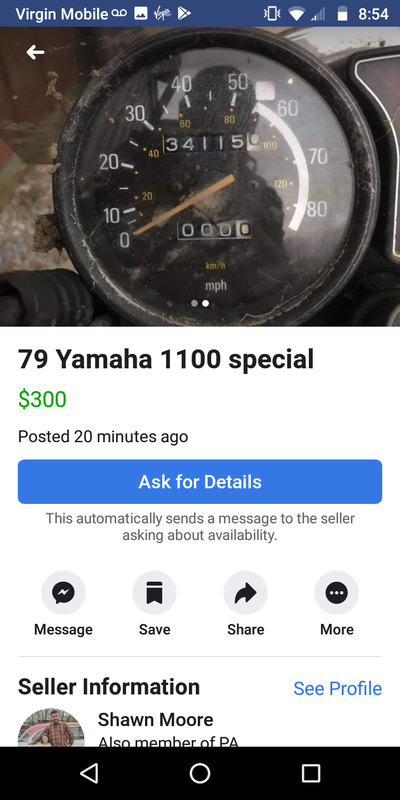 Want a bike? Your Lucky . . . I'd offer 2 bills and negotiate pending on keys, clean tank, free spinning engine, gears upshift and downshift and a clean title. Hope you get it !!! Last edited by Schming; 01-16-2019 at 07:38 AM. Thanks for the offer Garrett..what do you estimate it would cost to make this a running bike and make it presentable? Does the engine even turn over? Last edited by madmax-im; 01-16-2019 at 06:53 PM. Yes it does, but it’s a real project that would be some work. It’s all there but a brake line. It may find it’s way to my pile for the right price. Not yet that I know of....,I’ll go back and collect it if no one tries to save it. Hey, it sold to a guy named Bob.....I got a phone call from him this weekend......if he can join that will be one new member. !